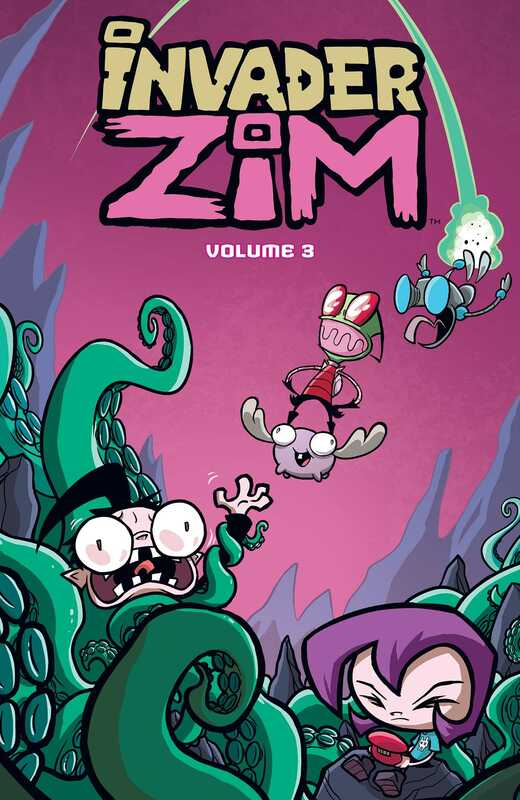 There's a whole lot of invading going on in the third volume of the critically-acclaimed comic series based on the classic Nickelodeon TV Show, INVADER ZIM! Pet dander invades Dib's auto-immune system! Some other aliens invade earth and kidnap Dib for some reason! And Gaz invades Bloaty's Pizza Hog for a chance at the coveted Bloaty's Pizza Shorts! But the most important invasion will be this comic... invading your heart. Dawwwww.